Therapeutic recreation is rooted in the belief that purposeful activities can improve the well-being of people of all ages who are facing physical, mental, cognitive or emotional challenges. Working in this rewarding field, you may find yourself helping others through activities as varied as outdoor excursions, sports, arts and craft projects, dance or community events. 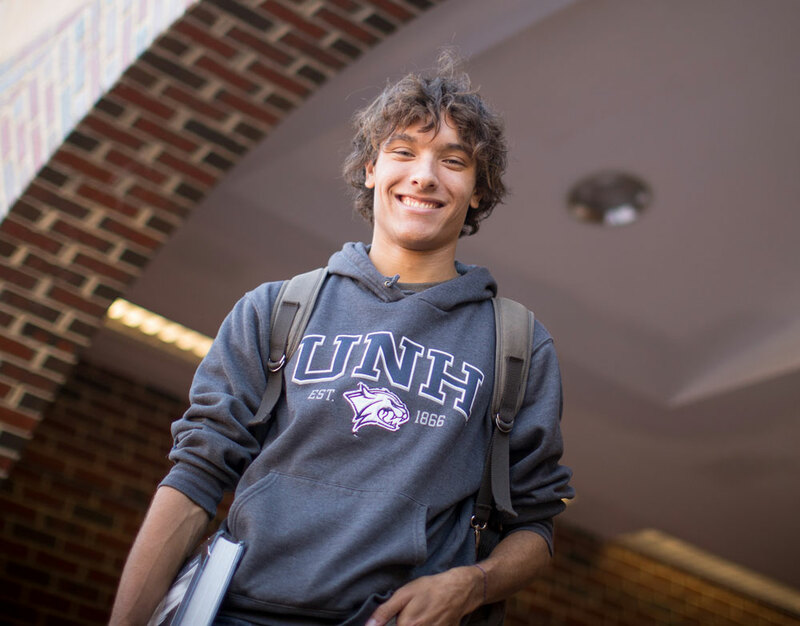 The therapeutic recreation degree program at UNH will prepare you for work in hospitals, rehabilitation centers, assisted living facilities, schools, mental health programs, and community-based recreation programs that serve children and adults with disabilities. Why study therapeutic recreation at UNH? 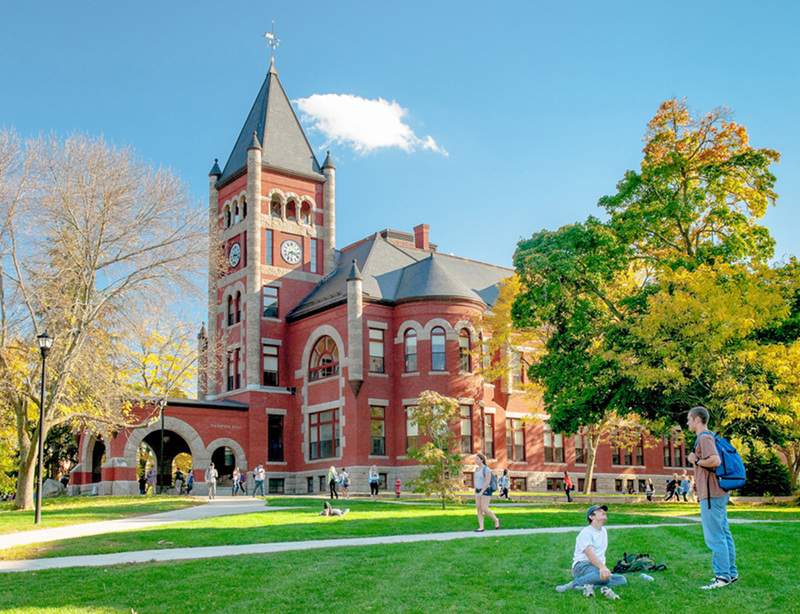 You’ll have unique opportunities for fieldwork and research in the therapeutic recreation program at UNH. Our faculty is nationally recognized and the curriculum places an emphasis on observation and applied experiences, including a full-time clinical internship. You’ll also have opportunities to work with Northeast Passage, UNH’s therapeutic recreation program. After completing the program, you’ll be prepared to take the National Council for Therapeutic Recreation Certification examination to become a Certified Therapeutic Recreation Specialist. The therapeutic recreation program is accredited by the Committee on Accreditation of Recreational Therapy Education and received the 2017 American Therapeutic Recreation Association Excellence in Education award. Therapeutic recreation utilizes recreation to assist people with disabilities or illnesses to develop and use their leisure in ways that enhance health, independence, and well-being. Therapeutic recreation recognizes the importance of quality of life and uses activities to remediate or rehabilitate functional abilities. Therapeutic recreation services are provided in a variety of settings, including hospitals, long-term care facilities, residential treatment facilities, schools, home health care, community recreation, correctional facilities, rehabilitation centers, camp and outdoor education centers, and adult day programs. Observation and applied experience is a component of several courses. Students complete a 14-16-week full-time clinical internship under the supervision of a certified therapeutic recreation specialist (CTRS). The Bureau of Labor Statistics occupational outlook reports the "employment of recreational therapists is projected to grow 13 percent from 2012 to 2022, about as fast as the average for all occupations. As the large baby-boom generation ages, they will need recreational therapists to help treat age-related injuries and illnesses, such as strokes. Recreational therapists will also be needed to help patients manage chronic conditions such as diabetes and obesity (Bureau of Labor Statistics). A CNN Money report identifies recreation therapy among the top ten "best jobs for saving the world." In particular, they note the profession's high benefit to society and high personal job satisfaction (CNN Money Magazine). On the job front, interested readers may also wish to review an article on Recreational Therapy published on Monster.com at https://www.monster.com/career-advice/article/recreational-therapists-help-patients-play-to-win-0615 (2015). Upon successful completion of this option, students are prepared to meet sitting requirements for the National Council for Therapeutic Recreation Certification Examination. Students/graduates who pass the NCTRC exam and attain the CTRS are eligible to seek licensure to practice in the state of New Hampshire. Students may be required to submit to a criminal background check. A supervised internship RMP 764 is required of all majors and serves as their major capstone requirement. The internship is designed to create a bridge between theory and practical application. Students, working with their advisers and the internship coordinator, select an appropriate setting based on their professional and career interests. They must register for a 14-16 credit full-time internship that ranges from 14 to 16 weeks and is under the supervision of a qualified professional. Specific requirements are identified in the Internship Manual available from the Department of Recreation Management and Policy. Broadly, the Department of Recreation Management and Policy's (RMP) mission is to advance the intellectual and professional development of students, and to promote health, quality of life, and sustainable environments through excellence in teaching, research, and public service. This aspect of our mission encompasses both the program administration and the therapeutic recreation options. Further, the central mission of the therapeutic recreation option at UNH is to develop competent RT/TR clinicians for the 21st Century health care. We are committed to ensuring that our students develop not only knowledge, skills, and abilities that ensure competent practice, but also to inculcate our graduates with an ethos of commitment to collaboration, mentoring, and advancement of the profession.